Dividend distribution tax is paid as per section 115O for any amount declared, distributed or paid by a domestic company by way of dividend ( whether interim or otherwise), whether out of current or accumulated profit. The dividend amount payable is increased by such amount as would, after reduction of the tax (DDT) on such increased amount at the rate specified in section 115 O(1), be equal to the dividend amount payable. What are the Deduction available from Dividend Payable? 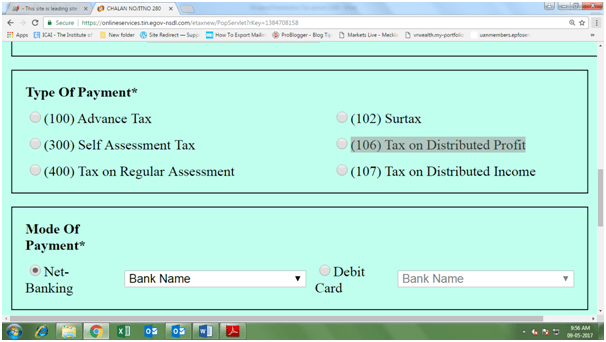 How to Pay Dividend Distribution Tax? Step 4: Finally pay the amount and save the challan. 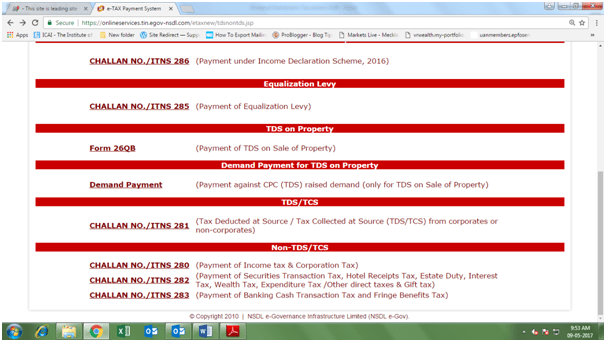 I hope that most of information on dividend distribution tax is provided in this article. You can also go through the section 115O for more information on it. In this case what will be outflow of funds from the Co.?? DOES REGULAR EQUITY MUTUAL FUNDS HAVE TO DDT. OR IN OTHER WORDS WHICH IS BETTER. INVESTING IN DIRECT GROWTH OR DIRECT GROWTH IN AN EQUITY MUTUAL FUND IF YOU ARE NOT WORRIED ABOUT CASH FLOW.